The heartland home is all about practicality, which is why its floorplan is designed with function in mind. 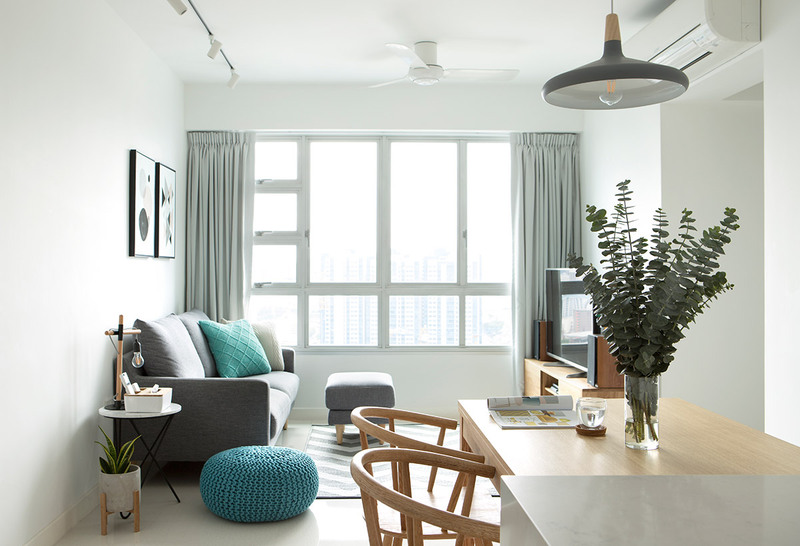 While sizes and shapes may vary, an HDB unit typically boasts three hot spots in its common zone – each equipped with the essentials to ease everyday living. A small plot of land designated for footwear-related activity lies at the entryway. This is followed by the home’s social hub whose primary function is to welcome guests. But this place is now more commonly used for the family to enjoy a spot of entertainment as well, which means that it should be furnished with suitable furniture and equipment to meet these needs. The dining zone takes up residence at the far end of the common area, an important place for mealtimes and bonding sessions. Whether yours is petite or large, timeworn or new, the key to a layout that works is in making the best of what you’ve got. 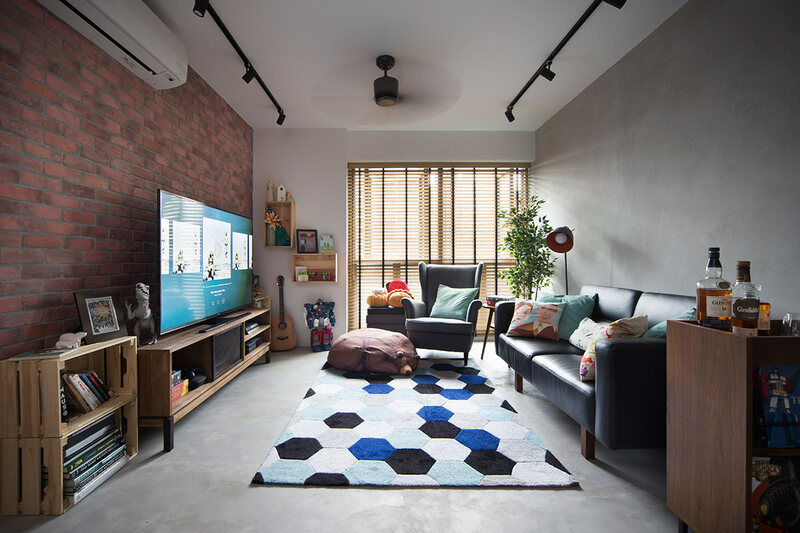 The communal zone in a 3-room flat may be Polly Pocket-sized, but it can still be stylish and functional with the right game plan. And that’s making your apartment look bigger than it really is. Keep furniture pieces compact and preferably low-slung, and pare down to only the essentials – like a sofa. If you’re one who entertains regularly, outfit it with ottoman or foldable chairs that can be kept away until the next guest pops by. A regular coffee table might not fit into your narrow interior; instead, opt for a petite end table that can be shuffled around easily. To avoid space wastage, arrange your furniture flushed against the wall or fit a basket in neglected corners for stashing stuff. Living areas that occupy 4-room flats are analogous to the Goldilocks principle – they’re neither too big nor too tiny. Both living and dining zones that have been furnished with full-size furniture can sit comfortably within its floor area – but you should still be frugal with the use of space when designing these two zones. Think round coffee table that takes up lesser footprint than a rectangular one; or skip the traditional dining place in lieu of its more svelte counterpart – the breakfast counter. Not only will these small but impactful moves give the interior much-needed breathing space, it also provides owners with extra square footage to experiment with more when it comes to designing the living room. 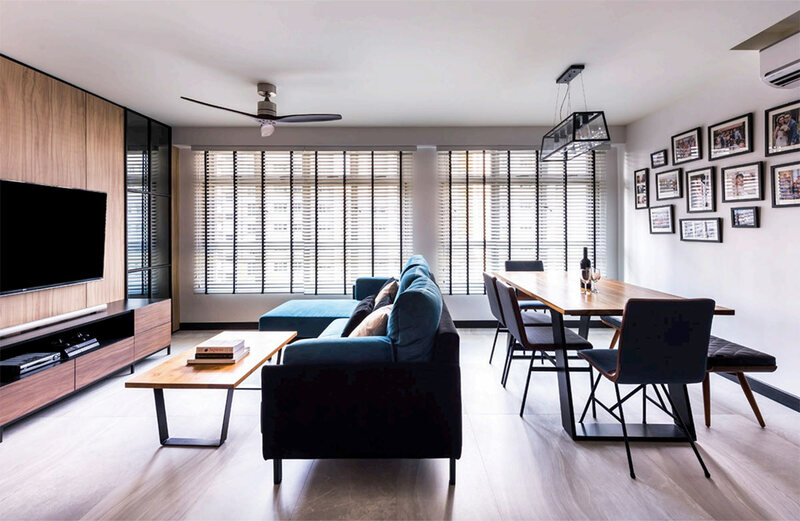 Residents of 5-room flats are blessed with the luxury of space – particularly in the living area. This means you get to try out different configurations for your interior and furnish it to your heart’s desire. Arranging the living and dining zones in a linear fashion helps to keep communication channels open in this part of the home. Another popular option with home dwellers is to make use of the bonus square footage to create a brand-new room. Wall partitions tend to feel closed in, so aim to keep it barrier-free unless privacy is a priority. Find smart alternatives such as open bookshelves and low cabinets that help to create a division of space without enclosing it entirely.